Chasin' Mason: Rewind [Five] on Friday // All Things Halloween! 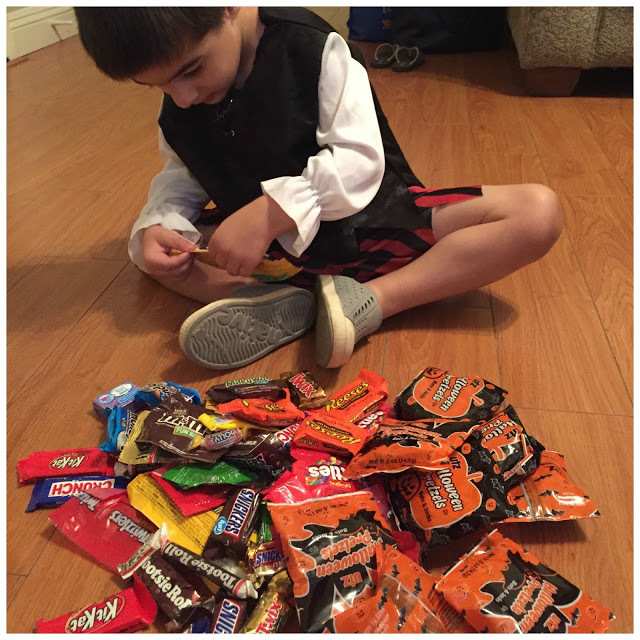 With October just one day away and our Countdown to Halloween link up starting on Wednesday, I thought I would share some of the fun things that we did last year to celebrate Halloween. TWO. 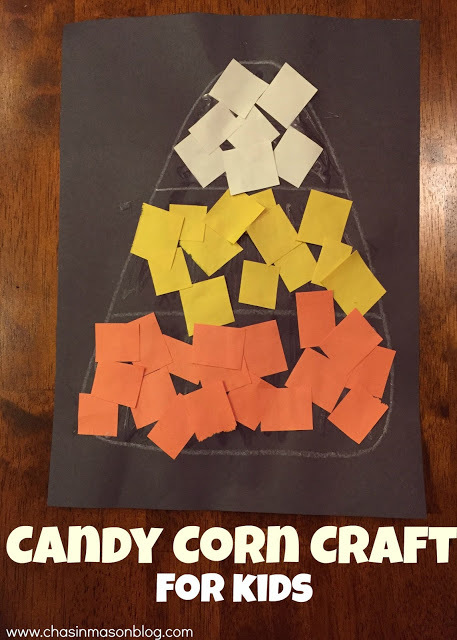 Candy Corn Craft for Kids. FOUR. Partying with Mickey (on our Disney cruise). 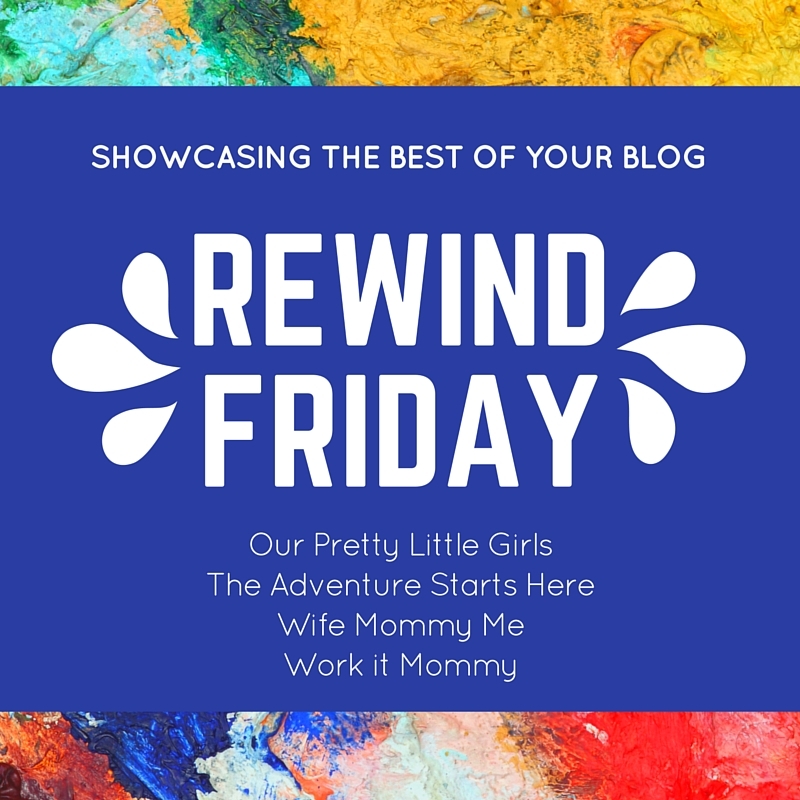 Linking up with Beth from Our Pretty Little Girls, Meghan from The Adventure Starts Here, Stephanie from Wife Mommy Me, and Whitney from Work it Mommy. Oh and a quick reminder... our Foodie for a Year link up is this Tuesday, October 4th! 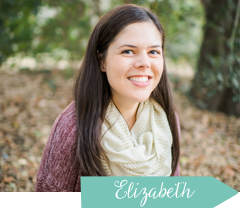 This month's prompt is a slow cooker recipe - my FAVORITE way to cook! Don't forget to share a recipe with us on Tuesday! I loved all of those posts. I think it's so fun that you decorate with Mason's artwork. I need to do the same thing in their art area. The T Bird and pink ladies are too cute! I cannot believe that tomorrow us October, where did September go???? I cannot wait to make a gallery wall of Mason's art work like yours. A year ago?! No way. It feels like a month ago!! And look how little mason looks!! Your pumpkin patchin’ looks similar to ours…in shorts! We are going later this year so I am hoping for cooler weather. You never know in Texas! 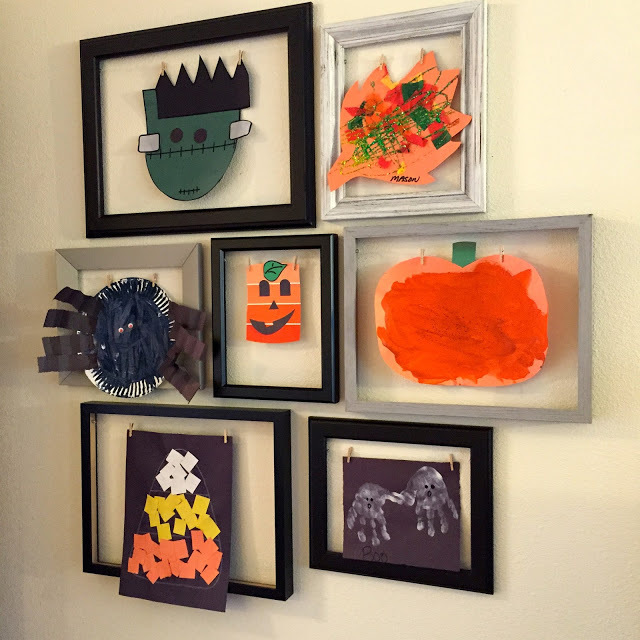 That Candy Corn craft is so adorable and so are all of those decorations in your frame. Love them. Happy Friday, friend! We go to that same pumpkin patch :) I think we are going on the 8th this year, still waiting to hear back from someone to see if they can go on that day. Hopefully it's not as dreadfully hot? Mason as that little grease lightening...too cute. Best title compilation EVER! Haha thanks for joining us! I adore that candy corn craft something fierce! I love your art gallery wall! And I'm so excited for all the fall and pumpkin stuff this month!!! Aaaaahhh SO many great memories. I hope y'all are having an amazing first day of October. You got a ton of Halloween pretzels! Halloween sponsored by Utz! I can't wait to see how you celebrate this year. I'm ATTEMPTING to be more "YAY Halloween!". Which I'm usually not because of C's birthday. It takes all my energy. How are you going to out-do your costumes this year? Last year's theme was the best!!! I still love that candy corn craft! I'm making it happen this year even though we never ever craft at home, ha!